Benken started with Harry and Johanna Benken in Cincinnati in 1939. For almost 80 years, Benken Florist Home and Garden Center has prided itself on quality and service, combined with a friendly and knowledgeable staff. Through the years they built the business with their six children. Harry and Johanna's son Richard and his wife, Annette, became the owners in the early '70s. That's when Benken started offering wider varieties of blooming plants and individualized floral work. 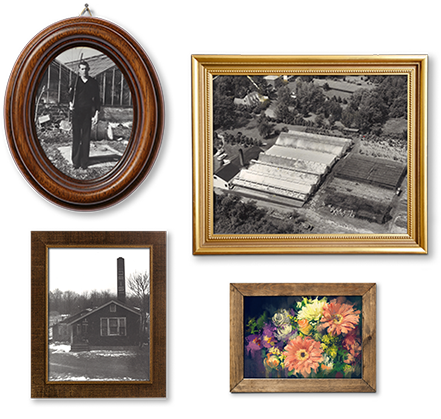 The focus of the Benken family was gradually shifting from growing to retailing. In 1997, Michael Benken and his wife, Kathleen, became the third generation to own and operate Benken Florist Home and Garden, and they continue to run Benken today. Check out our delivery information and see how you can get home grown flowers and plants right to your front door. and on certain holidays. Be sure to check back!